I. Am. Exhausted. BUT I have had an amazing time. I'm so sorry I've neglected fR but I've been updating blackwhitedenim.com's LFW adventure diaries, video, twitter and facebook. So, forgive me? I will need to sleep, and see the Boyf, before I can really tell you about what has happened but here is a tiny snap shot of everything that has happened. Registration, Exhibits, NEWGEN. Drinks on the Terrace at Tom's Bar, Vauxhall Fashion Scout, Fashion Mode. James Hillman. (see interview here) Amazing. (front row). Beyonce's House of Dereon. Nightmare Queue. Celeb bomb. Chipmunk. Rachel Stevens. Paloma Faith. Rosario Dawson (who? 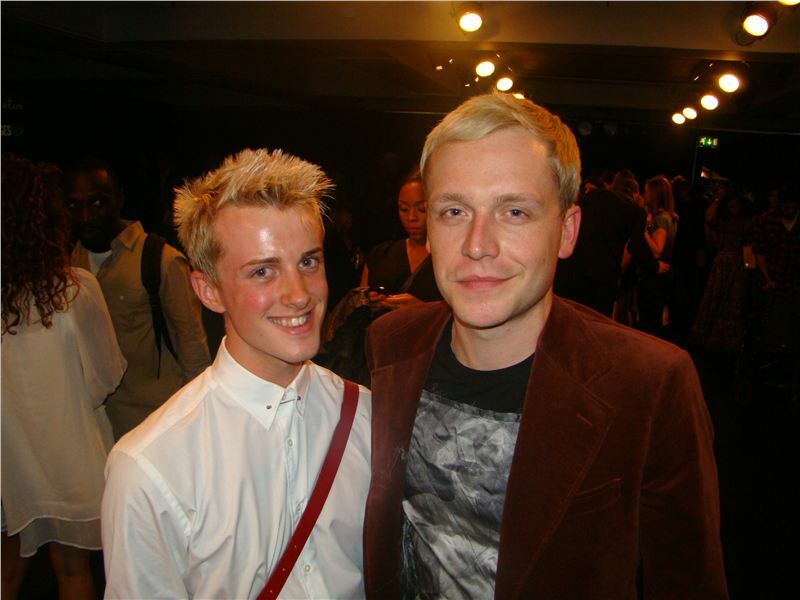 ), Rita (who, more), BEYONCE, Selfridges, Papz, MR HUDSON, YES, I had a picture with him. Liberty's (first time) fell in love. Riding House Cafe for dinner (love), met Chiara Feragni! YES, Blonde Salad, ACNE Show, unbelievable... fab shapes and textures. Met Mary Portas, I'm such a wannabe Queen of Shops, Notting Hill drinks, met founder of Bloglovin' AND Carolina from fashionsquad! Drinks (and nuts) in Hoxton at the Hoxton Hotel. Day 3 buying apt. at McQ by McQueen (I love buying!) fab collection, the BWD edit is (honestly) the best of it all. Clear Agency apt, boys (and Amber) are lovely + refreshing. Harrods (first time) like a dream. Chanel exhibit, moving. £4m to put on and it ends THIS SATURDAY! May Fair Hotel, to treat boss to cupcakes and cocktails for bringing me to London. Mark Fast Show, loved the knitwear, model nearly fainted (and she was one of the +size girls! ), Eliza Dolittle wore a BWD exclusive Mark Fast piece. Met Deirdre Morrisey, BFC Warehouse Exhib, Euston 1st lounge. Blogging to you now. I hope you understand some of that.